The Fulbright Specialist Program (FSP) promotes linkages between U.S. scholars and professionals and their counterparts at host institutions overseas. The program awards grants to qualified U.S. faculty and professionals, in select disciplines, to engage in short-term collaborative two- to six-week projects. The importance of the Ramaditas archaeological site is more than socially and historically significant… it is environmentally relevant. Located in one of the driest and oldest deserts of the world, the Atacama Desert, Ramaditas offers a unique opportunity for understanding the significance of water as a resource for sustainability and development anywhere in the world. This information is disclosed with authorization of Dr. Mario A. Rivera, Head Archaeologist of the Ramaditas Project. chronology. 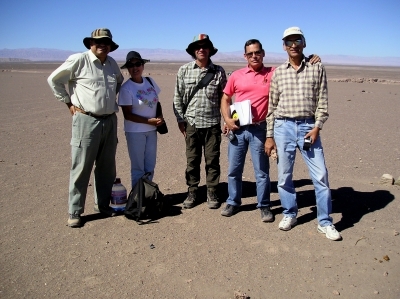 At Peninsula de Nacascolo, we applied the Mehlich-2 technique to measure P concentration in soils. This study was part of Asesorias Arqueologicas, S.A. de C.V. studies in the Peninsula de Nacascolo. Our client welcomed our results as we found a human occupation horizon. TNESR, with Drs. 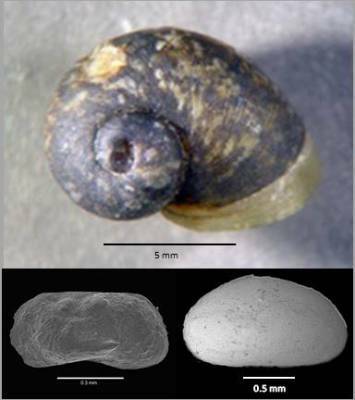 Michael M. McGlue (University of Kentucky) and Gabriela C. Cusminsky (National University of Comahue, Argentina), conducted the study and identification of ostracodes (micro-crustaceans) in a high altitude lake in the Puna Plateau, Province of Jujuy, Argentina. Of the eight ostracode species found, four are new published in the Journal of Micropaleontology (doi.10.1144/jmpaleo 2015-012). The faunal assemblage permitted us to reconstruct the last 38,000 years of climate and lake evolution in NOA (Northwest Argentina). This material is disclosed with permission of Dr. Michael M. McGlue, University of Kentucky. Location map and photograph by Dr. McGlue. SEM illustrations by Yolanda Hornelas, Brenda Martínez (Instituto de Ciencias del Mar y Limnología) and Maria Berenit Mendoza (Instituto de Biología), UNAM. Dr. McGlue, our client, was delighted and impressed with the detailed paleoecological reconstruction we presented him with. Human adaptation to the New World included facing a variety of changing environments during the Holocene. In the Neotropical region these environments were numerous and diverse. Wetlands probably offered one of the most stable settings for the new comers. The wetland cored at Blue Creek site near Akab Muclil, northwestern Belize, contains a more than 1000 years record of human activity and climate change between the Maya Classic and Post-Classic periods. 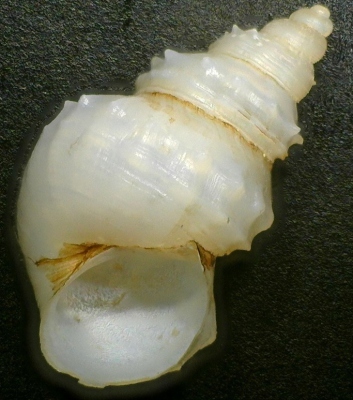 The environmental changes probably induced by damming of a fluvial wetland ended recording wet-dry cycles reflected by mollusks and ostracodes. Some of which may be new species. Project sponsored by Drs. Timothy Beach and Sheryl Luzzadder-Beach, University of Texas at Austin. Our clients praised the detailed and high quality of our contribution. TNESR collaborated with Desert Archaeology, Inc. (DAI) on the investigation of Early Agricultural Period (1200 BC – AD 50) networked irrigation canals using ostracodes, micromollusks, calcareous algae and the geochemical signatures of ostracode (Ilyocypris bradyi) valves that allowed us to generate an aridity index. The index resulted from the combined data of stable isotopes (d18O and d13C), and trace elements (Mg/Ca, and Sr/Ca). Subtle variations in the aridity index suggest irrigation waters salinization resulted from canal operation. This material is disclosed with permission of Drs. James Vint and Henry Wallace (DAI). Dr. Loy Neff from Pima County praised our research for the innovation and high quality of the analyses conducted by the research team. 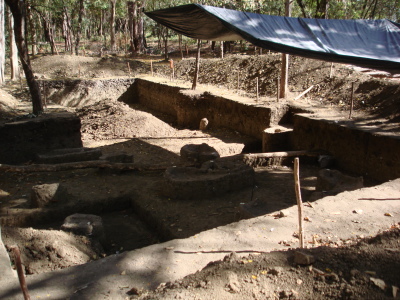 TNESR, in association with the National Autonomous University of Mexico (UNAM- its acronym in Spanish) conducted the paleoenvironmental reconstruction of El Fin del Mundo archaeological site in northwestern Sonora, Mexico. The diatom flora associated with gomphothere (Proboscidea) remains and Clovis projectiles formed during the Younger Dryas at the end of the Pleistocene. The figure above shows the evolution of the pond from moderately dilute to saline over a period of approx. 3500 years (13,384±20-9993±191 cal yr BP). Akimel O'odham and Pee Posh peoples used irrigation canals during the 19th century that differ significantly from their predecessors. The occurrence of cold, dilute water indicators (like the gastropod ​Vorticifex effusa and the ostracodes ​Limnocythere sp. cf. ​L. itasca, and ​Eucypris meadensis) in the Middle Gila River Valley raises questions about the possibility of a cold/wet episode that could be an expression of the Little Ice Age in Arizona. Much work is required to find an answer. Project sponsored by Archaoelogical Consulting Services, Ltd. and the Cultural Resource Management Program of the Gila River Indian Community under supervision of Mr. Craig Fertelemes and Ms. Linda Morgan. Islais Creek Estuary offers the unique opportunty to reconstruct the Holocene history of sea level rise using diatoms. Four assemblages fluctuate over time showing the gradual but steady advance of the ocean for the past 7500 years. Project sponsored by Far Western Anthropological Research Group, Inc. and the San Francisco Public Utilities Commission under supervision of Dr. Phil Kaijankoski. Diatom analysis in the San Francisco Bay area. Responsible for the identification of diatom species present throughout the Holocene evolution of Islais Creek marsh. The paleoclimate record and sea level history is revealed by this important group of microfossils. Project sponsored by Far Western Anthropological Group, Inc. under supervision of Dr. Phil Kaijankoski. 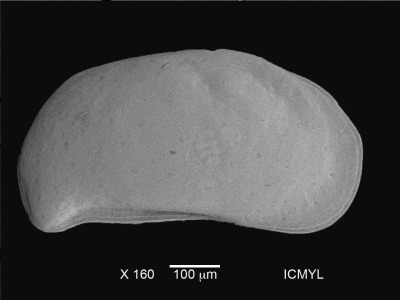 Diatom analysis of a late Pleistocene-Early Holocene diatomite from El Fin del Mundo, Sonora, Mexico. Responsible for the identification of diatom species and paleoenvironmental reconstruction of a aquatic system that, in addition, contained the remains of a gomophothere (Proboscidea). 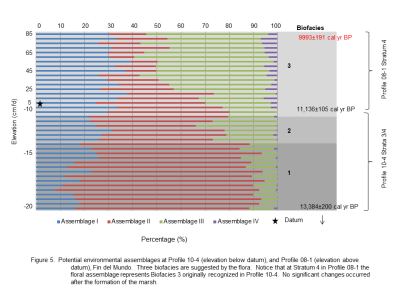 The paleoclimnate record shows the onset of the Younger Dryas around 11,550 14C yr BP. Project sponsored by UNAM/INAH/UofA under the supervision of Drs. Elizabeth Solleiro and Guadalupe Sanchez. Microinvertebrates of Casa Blanca III canals, Gila River Indian Community. Responsible for the paleoenvironmental reconstruction of prehistoric and historic canals of the Casa Blanca III network. Late Archaic, Hohokam Pioneer, and Akimel O’odham/Pee Posh periods canals display the impact of climate change on the environment. The Historic period canals, particularly, show a cold/wet event around the mid-19th century in the Middle Gila River Valley, Arizona. 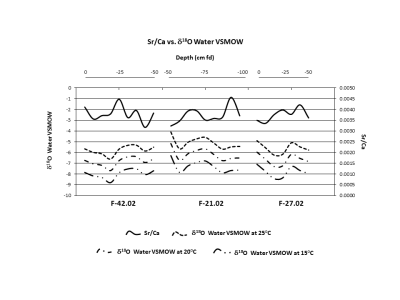 China Lake Basin mollusk analysis and paleoenvironmental reconstruction. Responsible for the identification of mollusk species present across the basin for the reconstruction of late Pleistocene lacustrine deposits. Project sponsored by Far Western Anthropological Group, Inc, under supervision of Dr. Jeff Rosenthal. Peña Blanca Lake, Santa Cruz County, Arizona. Responsible for the analysis of diatom response to heavy metal occurrence in the lake after draining, dredging and refilling the basin in 2008. Project sponsored by the United States Geological Survey- Tucson Office, under supervision of Dr. Floyd Gray. Patagonia Lake, Santa Cruz County, Arizona. Responsible for the analysis of microinvertebrates affected by heavy metal pollution since the creation of this artificial lake in 1961. Project sponsored by the United States Geological Survey- Tucson Office, under supervision of Dr. Floyd Gray. Blackwater Draw, NM: Analysis of diatomaceous earth from the Clovis type site. Responsible for the analysis of diatoms of this famous geoarchaeological site in New Mexico. Project sponsored by Dr. C. Vance Haynes, School of Anthropology, University of Arizona. Mockingbird Gap, NM: Micropaleontological analysis of a Clovis site. Responsible for the analysis of microinvertebrates and microflora in the wetlands formed in this geoarchaeological site in New Mexico. Project sponsored by Dr. Vance T. Holliday, School of Anthropology, University of Arizona. Scholle Cienega at Abo Arroyo, NM: Younger Dryas micropaleontology. Responsible for the analysis of ostracodes in the wetland formed during the Younger Dryas in central New Mexico. Project sponsored by Red Rock Geological Enterprises, Ltd. and Dr. Stephen A. Hall, Santa Fe, NM. Santan Canal Project Paleoecological Reconstruction, Sacaton, Arizona. Responsible for the analysis of microinvertebrates and calcareous algae in Hohokam canals. Project sponsored by Archaeological Consulting Services, Ltd. for the Gila River Indian Community. Old River Bed, Great Salt Lake Desert, Utah. Responsible for the paleoecological reconstruction of the Early Holocene history of the Bonneville Basin. Project sponsored by Far Western, Inc., Reno, Nevada. Mollusks from China Lake, California. Responsible for the paleoenvironmental reconstruction of Late Pleistocene lacustrine system in the Navy Air Weapons Station. Project sponsored by Far Western, Inc., Davis California. Laguna de los Pozuelos, Jujuy, Argentina. Paleoclimate history of a Late Pleistocene endorheic high altitude lake in the “Puna”. Project sponsored by USGS/Univ. Kentucky (Dr. Michael M. McGlue). Las Capas Paleoecology of Early Agricultural Period Canals, Tucson, Arizona. Responsible for the sampling of prehistoric and historic irrigation canals to reconstruct the history of canal irrigation during the Early Agricultural Period (1250 BC-AD 50) using micro-invertebrates, calcareous algae, and sedimentology. Project sponsored by Desert Archaeology, Inc., Tucson; under the supervision of James Vint. Consultant and Adjunct Researcher at California State University- Bakersfield. During my participation in the Summer Science Program I lectured and trained high school, undergraduate and graduate students, as well as interested science teachers from the Kern County School District during each summer of this time interval. The team focused on the climate reconstruction of the San Joaquin Valley through the geological, geophysical, and paleontological signatures recorded in pluvial Lake Tulare. In addition, we continued research on Paleolake Chewacan (modern Summer Lake) in southern Oregon to identify the climate records of western North America. Rio Nuevo Project, Tucson, Arizona. Consultant. Sedimentological and micropaleontological studies of historic and prehistoric irrigation systems of the archaeological sites west of I-10 in downtown Tucson for the construction of the Rio Nuevo Cultural Complex, west of downtown Tucson. Sponsored by the City of Tucson and Desert Archaeology, Inc., Tucson, Arizona. 2010 Canal Paleohydraulics at the TUSD 9 Site AZ AA:16:570 (ASM) Using Sedimentary and Micro-Invertebrate Records. Tucson: TNESR Report 10-07, 13 pp. for Desert Archaeology, Inc., Tucson. 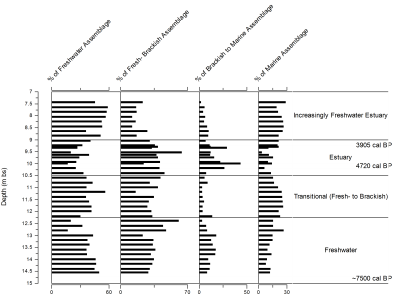 2009 Paleoecology of Irrigation Canals at the Rillito Fan (Site AZ AA:12:788 [ASM]) and Los Pozos sites (AZ AA:12:91/103 [ASM]), Pima County, Arizona. Tucson: TNESR Report 09-11, 18 pp. for Northland Research, Inc., Flagstaff. 2002 Ostracode Record at Leon Site (AZ BB:13:505 (ASM)), Tucson, Arizona. Tucson: TNESR Report 02-12, 19 pp. for Desert Archaeology, Inc., Tucson. 2010 Keynote Speaker at the VII Latin American Congress on Paleontology, Museo de la Plata, Argentina, September, 20-24. 2008 Fulbright Senior Specialist Scholarship # 2817 to Universidad Nacional de Tucuman, Argentina, March, 3-31. 2002 SAA Best Professional Poster.